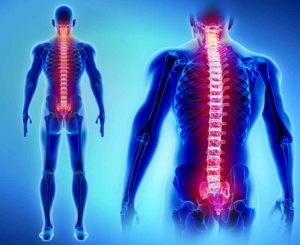 Home » What is a Spinal Cord Injury? Spinal cord injuries are among the most serious, frightening types of injuries that a person could suffer. They are also far more common than many people realize. According to data from the National Spinal Cord Injury Statistical Center (NSCISC), approximately 17,000 Americans face the diagnosis of a spinal cord injury each year. These injuries generally fall into two categories: complete injuries and incomplete injuries. With a complete injury, the nerves within the vertebrae are entirely severed. The victim will likely lose all sensory or motor function below the point of the spinal cord injury. With an incomplete injury, only some nerves tear. Victims may maintain reduced function or feeling below the point of the injury. Incomplete spinal cord injuries vary widely in their effects. Spinal cord injuries need immediate treatment. The sooner medical attention is sought, the better the chances are that the victim will make a full physical and cognitive recovery. The impact of a spinal cord injury can be both wide-ranging and long-lasting. It often takes a team of experienced medical experts working together to ensure that that a victim gets the proper care that they need. Tragically, it can be difficult for victims of serious spinal cord injuries to return to work or to live a fully normal life. In many cases, ongoing medical assistance and rehabilitative care is necessary. This can take a serious financial and emotional toll on the victim and their family. If another party was at fault for the accident that led to the spinal cord injury, it is imperative that the victim is able to hold them responsible for the costs. Spinal cord injury victims and their family members should work with a skilled personal injury lawyer who can help them get justice. At the Olson Law Firm, our legal team commits to providing top-quality legal representation to victims who have suffered spinal cord injuries. We believe that talking to your lawyer should be simple and easy — not overwhelming or confusing. If you or a family member suffered a serious spinal cord injury, please contact Denver personal injury lawyer Sean Olson for a free consultation.